Georgina Stylianou checks in with the Cassels family to see how the development of their new retail site is progressing. It took vision and a strong family to turn an historic tannery site into a Victorian Arcade. What once was an industrial eyesore discharging chemicals into the Heathcote River will soon be a haven for shopping, dining and entertainment. And the multi-million dollar idea, the brainchild of Christchurch businessman Alasdair Cassels, will breathe even more life into Woolston. Cassels is a man who loves beer and Christchurch. He revels in tales of settlers that travelled up the Heathcote River and reminisces about brewing beer with his children at his Sumner home. “The best place in the world to live, in my view, is Christchurch,” he says. Cassels, 62, was born in Northern Ireland and moved back to New Zealand in 1958. He studied engineering at the University of Canterbury before owning several maintenance, sandblasting and engineering companies. He then got into property and, in 1994, bought the historic tannery site – a 1.8-hectare section sitting between Garlands Road, Cumnor Tce, Tanner St and Maunsell St. The site, which dates back to about 1874, was “instantly attractive” to Cassels. Cassels took the first step in 2009, when he, his son Zak and son-in-law Joe Shanks started the Cassels and Sons Brewing Company on the site and began making beer and distributing it to local outlets. Surprisingly they initially planned to knock the corner building on the site, which now houses The Brewery – the immensely popular bar which opened four months after the February 22 quake. But with the the help of former Christchurch politician Jim Anderton, Cassels got the attention of earthquake recovery boss Gerry Brownlee who backed The Tannery project and helped fast-track plans for The Brewery. 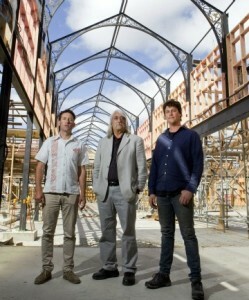 The trio also found the time to open Madras St bar and restaurant CBD last year. Both CBD and The Brewery had proved to be “very successful businesses” and profits were being redirected into The Tannery. The first part of The Tannery development is set to open in March and will feature several well-known, earthquake-displaced Christchurch businesses, such as Smith’s Bookshop and inner-city fashion stores Where The Fox Lives and Dead Set. When finished, the complex will house close to 70 tenants, including bars, restaurants, a music venue, gift shops, fashion stores, a hair salon, pilates studio, a tattoo parlour and an art gallery. “All the brick buildings have been rescued. It would have been a lot cheaper to wreck the whole lot but that’s not what I wanted,” Cassels says. About 150,000 individual bricks have been removed from the buildings to make way for an up-to-code structural wall before they were laid back on top. Cassels imported tiles from France, a roof from Israel and has sourced local and international woodwork and welding experts. In the Tannery, Cassels and Sons will have another bar and restaurant Gastronomy, a bohemian bar Sow’s Ear, along with a delicatessen. Gastronomy will echo the decor of Cassels’ beloved 100-year-old Sumner home, which was red zoned in the quake – a decision Cassels is fighting. The family are also planning a new brewery, which is now being run by Joe Shanks, who first started dating Alasdair’s daughter Pippi 15 years ago. So are the family a tight-knit group? Cassels tells a story: “A long time ago I bought a 90-foot yacht and we all took a year off, the kids came out of school and we sailed around Spain and parts of Europe. 1841 – Captain E. Daniell explored the Estuary and sent boats up the Heathcote River. 1856 – Industry had been established on the river and Woolston became a trading centre. 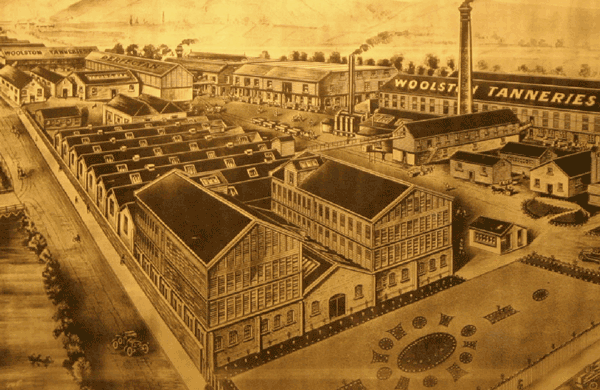 1874 – Eight wool scourers and seven tanneries were established in Woolston. The largest of these was built by Gustav Lindstrom and later became the Woolston Tannery. Early 1900s – The Woolston Tannery was using the trading name “Perfectan” and it had become the largest tannery in the area. 1959 – Woolston Tanneries went into receivership. The old brick buildings were used for small manufacturers and engineering businesses. 1994 – The site was bought by Alasdair Cassels. 2009 – Cassels & Sons Brewery Limited was founded and beer was brewed and bottled onsite. 2010 – Resource consent granted to convert the site into a brewery, bar and entertainment area. 2011 – February 22 earthquake severely damaged several buildings on The Tannery site. Plans were fast-tracked and The Brewery opened about four months later. 2012 – Further consents granted to change the use of the site for retail and entertainment. Plans developed to rebuild historic brick buildings.